Still smiling?!! Amanda's hand after having two fingers eyeleted (hole punched) Don't try this at home. Our Big Merino caused quite a stir this month. Reaching over 10,000 people virally. Lots of thumbs up this month! Anyone got a brush? Paul Sharman came in to collect his prize in our Father's Day competition. 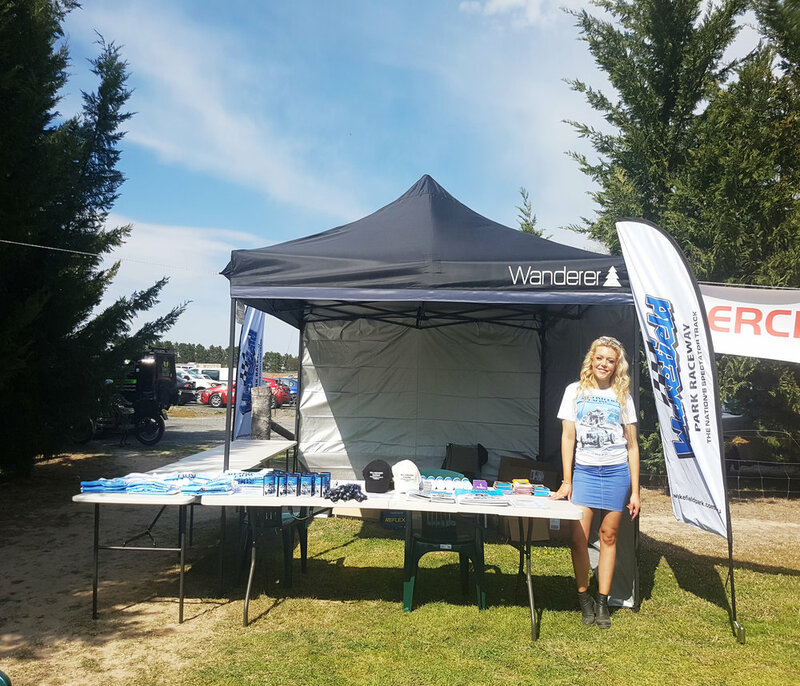 Shelley hit the road to attend the all historic racing day at Wakefield Park. T shirts printed by Signage One were a sell out! 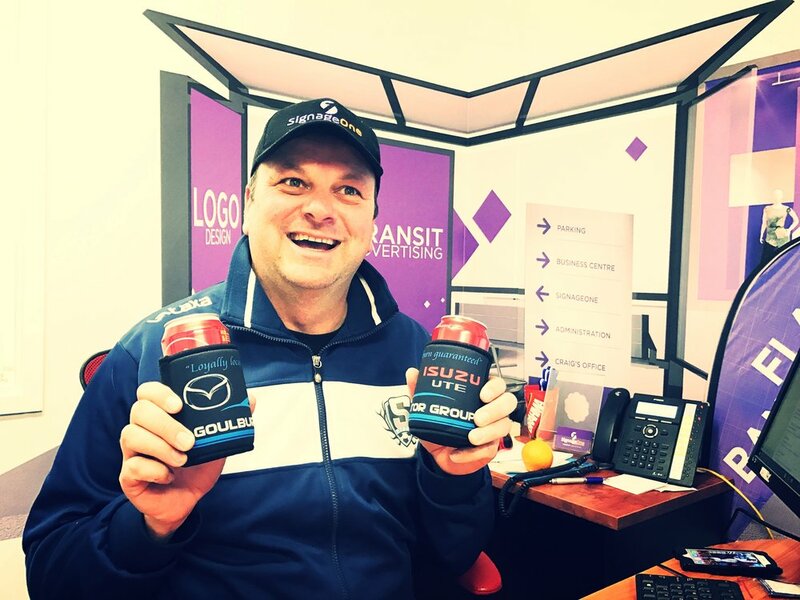 Craig Norris enjoyed this moment - finding his stubby coolers full! Shelley headed off to the Eagle FM Radio Dinner. Representing Signage One. Shhh - go away. I'm working!